She slides into the water, the crispness stealing her breath for a moment. She glides over the still surface, then rolls onto her back and floats. She sees the leaves above, sunlight jumping from leaf to leaf as it makes its way down through the canopy to drip small spots of golden warmth into the water. Small flying things swarm the water’s edge, light glistening from their gossamer wings. Emerald moss cascades down the bank eager to touch the water with a thousand tiny toes. Ferns unfurled to the world. Bunches of wild violets dance gently together in an unfeeling breeze. She floats, her dress billowing around her. There is no sound, only weightlessness and the cool fragrance of green. 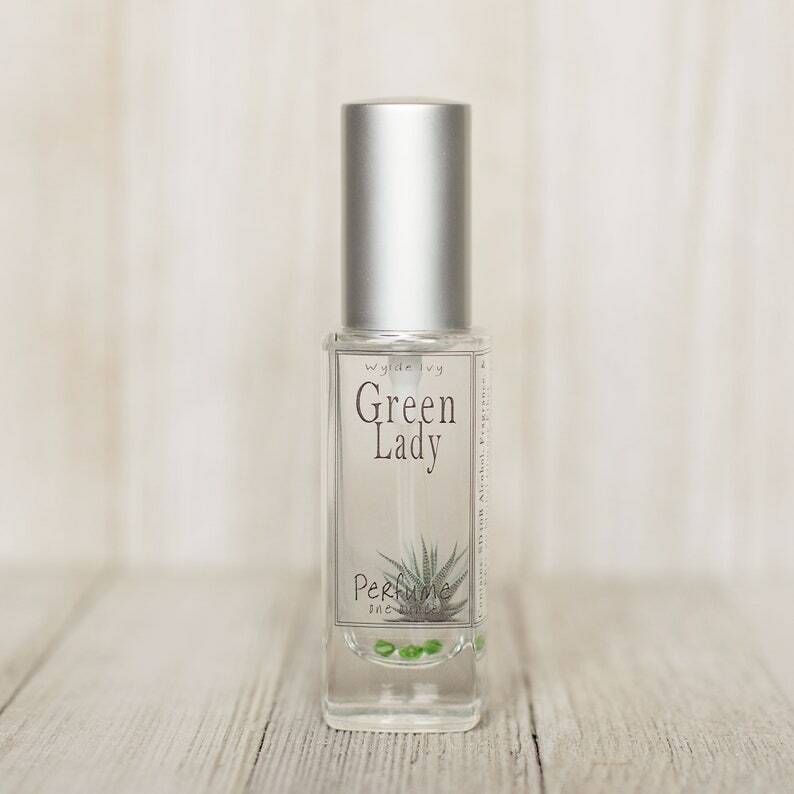 A modern, fresh dewy blend of lush green plants and sweet nectar. Notes of: fresh cut aloe, sweet prickly pear, cucumber tonic, wild violets, agave nectar, willow, and water lotus.